Rabbit knows that love is all around and can sometimes be found in apparently ordinary places. 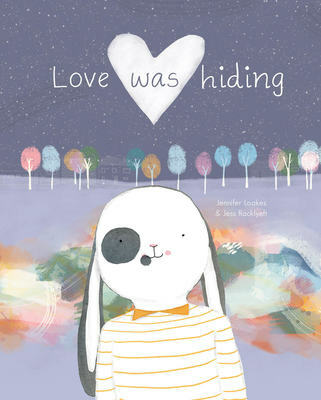 Page by page, Rabbit identifies where love can be found. Illustrations are mainly watercolour, with a range of other techniques throughout, including chalky pencil lines. Endpapers show a starry sky and a dot-to-dot images reinforces that love is everywhere. A delightful picture book for young children traversing their everyday.